This trailer was filmed when I was back in Oxford last autumn, filling in as interim director at the Kilns, C. S. Lewis's former home. I was thrilled to be able to shoot this in the city (and even at the house) where the book was set. I hope you like it. 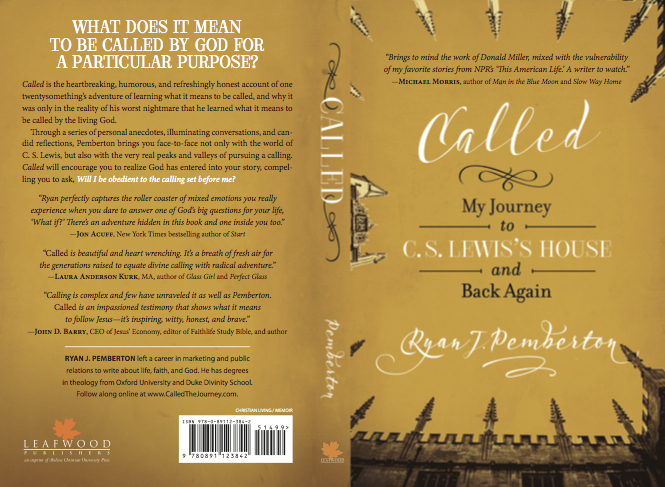 The introduction and first chapter of Called are available as a free download, no-strings-attached. Check it out and see what you think. Called will be available online and at your local bookstores in less than a month, but you can pre-order it today and it will show up at your door just as soon as it's out. We're getting close, friends. Thanks for your excitement. Thanks also for your help spreading the word.